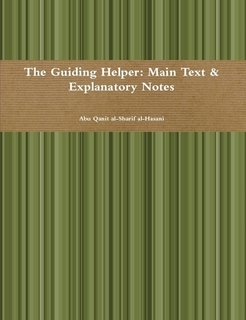 Nūr al-Īdāh (The light of clarification) is a classical text of the Hanafi school of jurisprudence. 40 Hadith on Sufim is an excellent English rendition of the Arabic original (also included), authored by Shaykh Abu Abdur-Rahmān al-Sulamī (d.412 AH / 1021). Manba-e-Anwar, Urdu. By Sahibzada Jaleel Ahmad Sharaqpuri. Biograhical articles on the life of Miyan Sher Muhammad Sharaqpuri Naqshbandi Mujaddidi, a famous Sufi master of Punjab. 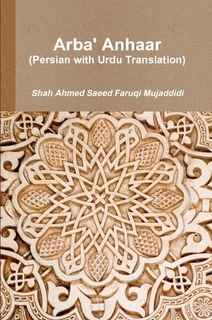 Suluk Maqsad-e-Suluk, Urdu. Some letters of Khwaja Muhammad Umar Birbalwi Naqshbandi Mujaddidi (d.1964), deputy of Miyan Sher Muhammad Sharaqpuri. These letters are addressed to a person who had stopped following the Sharia under the disguise of Sufism, and claimed to have attained perfection by acting in contradiction to the Sharia.